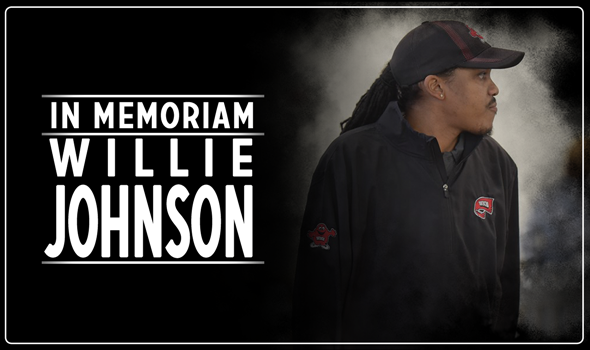 BOWLING GREEN, Ky. — With great sadness, WKU Athletics shares the news of the passing of Hilltopper Track and Field assistant coach Willie Johnson. Johnson, 34, passed away in the early hours of the morning on Sunday. The track and field program will host a candle light vigil in memory of Coach Johnson on Monday night at 7 p.m. at the WKU Track and Field Complex. Johnson, who assisted Jenkins with the Hilltopper and Lady Topper sprinters, hurdlers, and jumpers, was in his fifth season on the WKU staff and coached 28 student-athletes to All-America honors and 105 to All-Conference honors. Combined, 84 of Johnson’s student-athletes set program records. His work with Conference USA Female Track Athlete of the Year Chioma Agwunobi, First Team All-American Ventavius Sears and Second Team All-American Emmanuel Dasor in 2015 was the driving force behind a dominant C-USA debut for WKU. Agwunobi won league titles and established school records in the 200-meter dash (22.68) and long jump (22’4″), and also became the first Lady Topper in program history to advance to the NCAA Championships in two sprinting events. She also ran a leg on WKU’s 4×100 relay that finished 19th at the NCAA Championships to capture three overall Honorable Mention All-America honors on the season. A native of Orlando, Fla., and two-time All-American and four-time All-ACC triple jumper at Florida State from 2002-05, Johnson came to WKU from Marshall where he was an assistant coach from 2009-13. Johnson and his wife, Lacee, have one son, Ace.